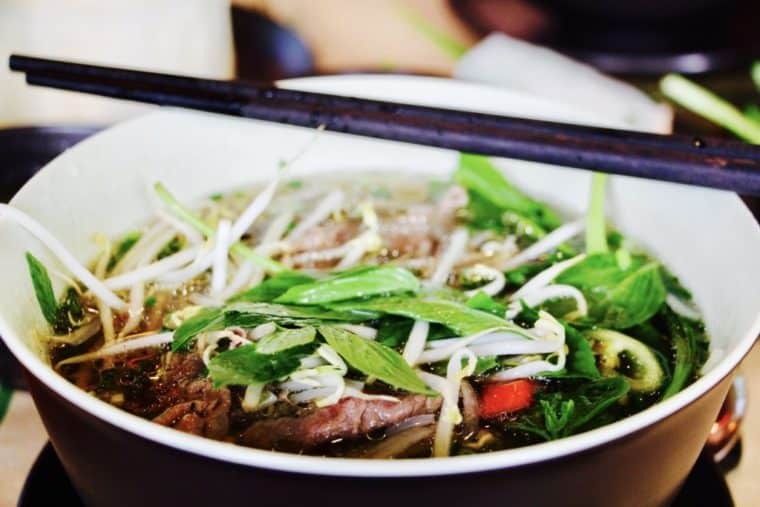 Pho 24, Ho Chi Minh Vietnam | Is Life a Recipe? You may or may not know, but I entered a competition with Singtel recently, and I ended up winning. Surprise, surprise. I struggled to remember what I had entered actually, but could not thank them enough. What did I win? Well only a three day, two night trip to Ho Chi Minh, and cooking class at Luke Nguyen’s Cooking School, Grain, for Mary and I. He is one of my favourite Chefs, and I have most of his books already, so I was massively excited. We left the older kids, but took Jude with us. What fun. Food fun in one of my absolute favourite cities on this planet, and of course we get access to Pho 24, Ho Chi Minh Vietnam. 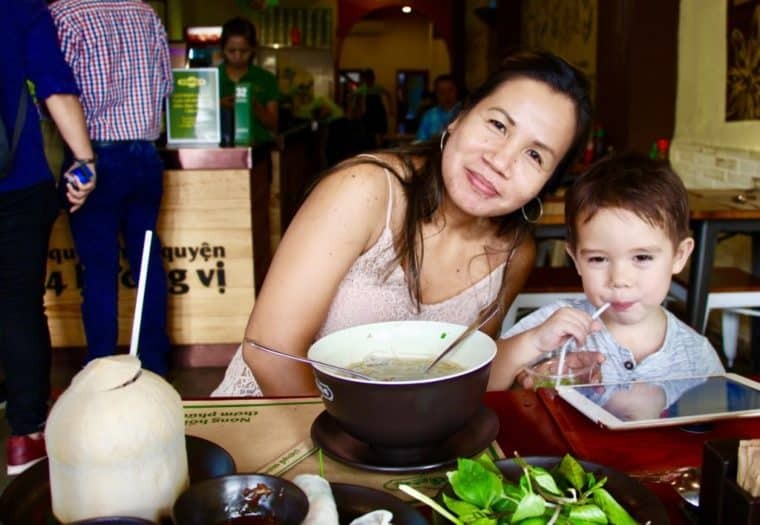 We have had many Pho at this chain of restaurants before when in Hanoi, even introducing my mate Coleman to it. Pho 24, Ho Chi Minh Vietnam Was intro’d as the best in Ho Chi Minh by our driver too, and we went straight there whilst the hotel was making up our room. What a cracking 1st food experience in Vietnam for this trip. Best Pho ever. The broth is to DIE for, literally. I would have this as my death row meal, it is so so so good. Great work Pho 24, Ho Chi Minh Vietnam. 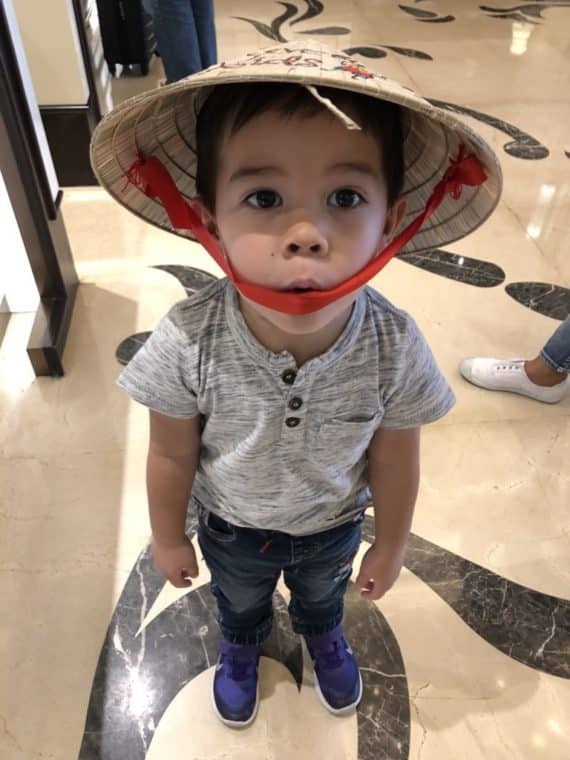 Baby Jude started the process when we landed in Vietnam this day. 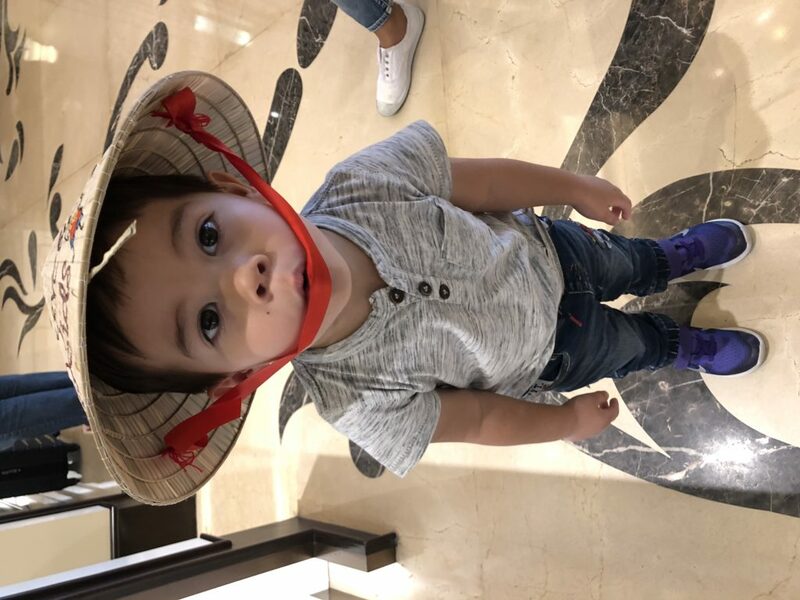 Get your game face on Jude, we’re going Pho hunting! 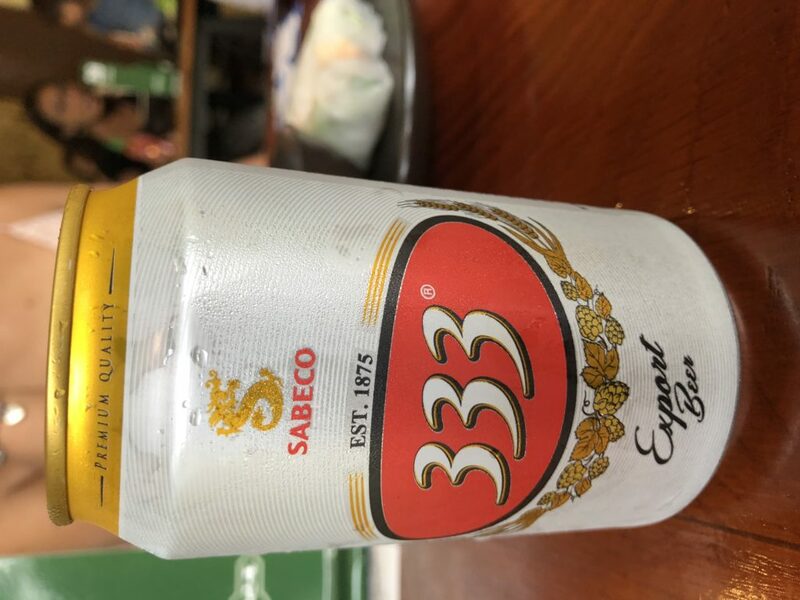 Of course accompanied by my loyal companion in Vietnam, an icy cold can of 333. Just a thing of beauty, it truly does not get any better. This is heaven in a bowl. Death row food in the making. Yes Mum and Jude were VERY happy with outcomes of the ordering. 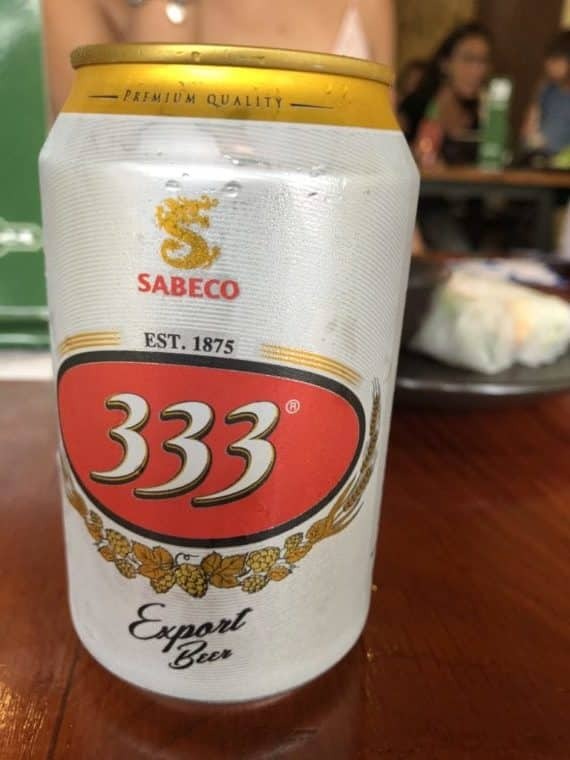 Wherever you go in Vietnam, make sure you search this brand out. This was 5 minutes down the road from our hotel – also recommended by the limo driver. Food Mecca!!! What an amazing start to food adventures. I love the fact that the old limo driving uncle said the best was Pho 24, the one we viewed as the best in Hanoi. 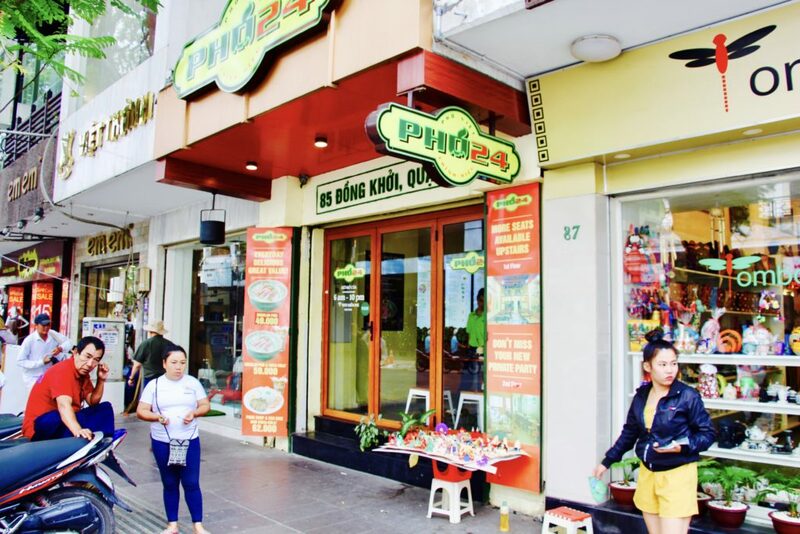 This was our first step in to food Vietnam for this trip; Pho 24, Ho Chi Minh Vietnam. We all left so very very happy. My goodness they do indeed bang our a cracking Pho. Best ever. Get here, get in to it and – ENJOY!!! No Replies to "Pho 24, Ho Chi Minh Vietnam"